Provost Studio will be attending this year’s NAB Show in Las Vegas from April 18th-20th. The firm’s Director of Design, Peter Provost, will be meeting with clients and broadcast partners throughout the event. Those wishing to meet with Provost Studio can book a meeting online at this link, or by emailing: info@provost-studio.com. 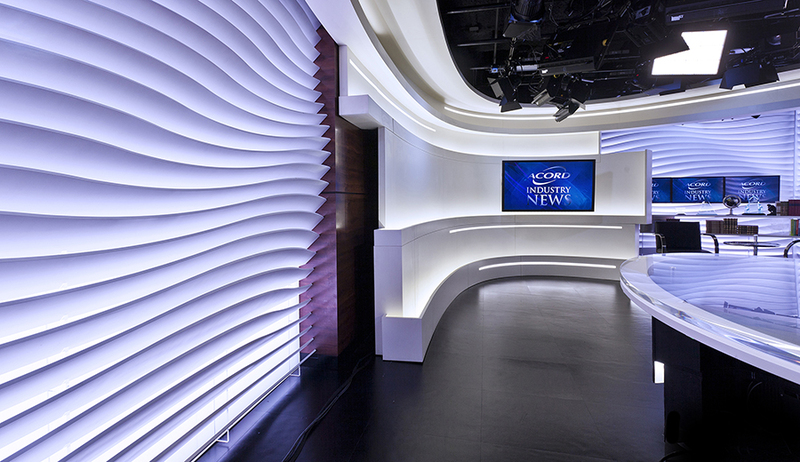 We design creative and dynamic broadcast spaces that express your brand scenically. Our team members are experts at crafting unique built environments that express and communicate brands through a refined process of listening and design; environments that tell stories about who you are and what you do so that you can build closer relationships with your audience and ultimately drive revenue. Paired with its expertise and passion in branded environments, Provost Studio has the ability to deliver truly dynamic and forward thinking broadcast studios and newsrooms for its clients. The team approaches each broadcast project as an opportunity to explore new technologies, material relationships and digital fabrication techniques that help support the conceptual narrative and editorial content for each news organization. 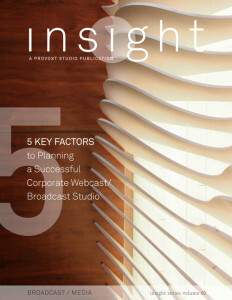 Also: Learn the 5 Key Factors to Planning a Successful Broadcast Studio by downloading Provost’s free guide today. 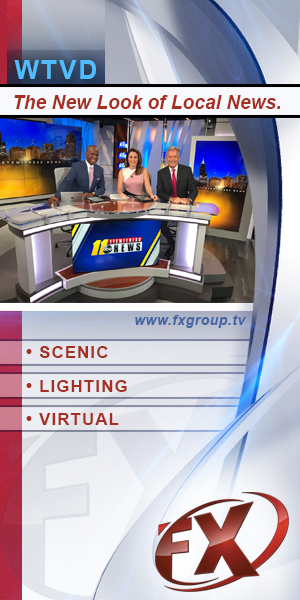 Provost Studio offers comprehensive, turnkey broadcast design, management and planning services for a wide range of market sectors including: Television Media/Entertainment, Sports/Recreation, Corporate/Commercial, Retail. Provost Studio contributed to the content of this post.